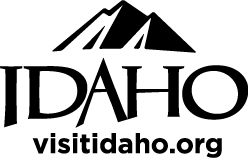 The Latah County Historical Society’s spring speaker series dedicated to exploring myths and realities in the American West will continue on April 1 with a presentation from University of Idaho faculty member Dr. Philip Stevens. Dr. Stevens is the director of the American Indian Studies program at the University of Idaho and an assistant professor of anthropology. His presentation, “Indigenous Education Sovereignty,” will introduce the topic of American Indian Western Assimilation/Education and explore the long-lasting consequences of those institutions, as well as contemporary work being undertaken to address persistent inequalities. Latah County exemplifies the American West, a region imbued with romance and drama. The very geography of the land sets the stage for stories of rugged individualism and man's triumph over nature. Yet so much of what we know about the history of the "Old West" is defined by pop culture. Books, movies, and music have flattened the realities of the frontier into a series of tropes that are far less interesting than the true tales that history can reveal. The series concludes on April 16 with Katrina Eichner speaking about women’s work in the west.